Died: Aug 19, 1958 (at age 64) in Boulder, Colorado, U.S.
George Gamow was a Ukrainian-American cosmologist and a theoretical physicist. He was also an early developer and advocate of Lemaitre’s Big Bang Theory. He made the discovery of the alpha decay through quantum tunneling theory and also worked on the radioactive decay of atomic nucleus, stellar nucleosynthesis, star formation and the Big Bang nucleosynthesis. 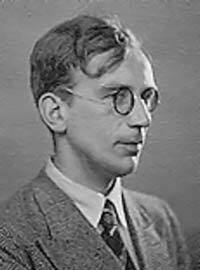 George Gamow was born in 1904 in the Russian Empire. His parents were both teachers, but his mom died when he was nine years old. As such, he grew up with his father. His education was mainly self-taught. He attended university at the Novorossiya University and later went to the University of Leningrad where he concentrated on optics and cosmology. In Leningrad, George made friends with two other students who were also theoretical physicists – Dmitri Ivanenko and Lev Landau. They often met to analyze and discuss groundbreaking papers based on quantum mechanics. After getting his Ph.D. from Leningrad, Gamow started working at the University of Gottingen on quantum theory. This university was based in Germany and it was here that he researched the atomic nucleus. His findings gave him the basis for his doctorate. He proposed the ‘liquid drop’ model of an atom first. This model treats the nucleus in an atom as one drop of an incompressible nuclear fluid. It was later developed by John Wheeler and Niels Bohr. He worked on the stellar physics with Fritz and Robert Atkinson as well. In 1928, Gamow described the alpha decay theory. This was the first acknowledged explanation of the mannerism of radioactive components using quantum theory. in 1936 and the Internal Structures of Giant Stars in 1942. Gamow produced another paper in 1928 with his students – Ralph Alpher and Mario Schenberg – on cosmology titled The Origin of Chemical Elements. This paper outlined present levels of helium and hydrogen in the atmosphere. These gases make up 99% of matter. This could be explained by the reactions which occurred in the Big Bang which led to the explanation of the Big Bang Theory. In 1950, after the discovery of the DNA structure, George shifted his attention to genetics and biochemistry. He attempted to address the problem of how different kinds of bases in the DNA chains controlled the synthesis of the proteins from amino acids. Though it was flawed, it helped in the enumeration of the 20 amino acids present in proteins. Gamow had a great interest in astronomy and the solar system. In fact, he helped write a paper that supported von Weizsacker’s theory on how the planets formed during the solar system’s early days. He also published a paper which included his equations for calculating the radius and mass for the early galaxy. Since a primordial galaxy contains billions of stars that each have about the same mass as the sun, this was no easy task. Gamow developed an excessive drinking problem which precipitated his death in 1968 at age 64. He was laid to rest in the Green Mountain Cemetery in Boulder, Colorado.